Reliance Jio is a Telecommunication company in India. It is also known as Jio but, it is officially called as Reliance Jio Infocomm Limited (RJIL). 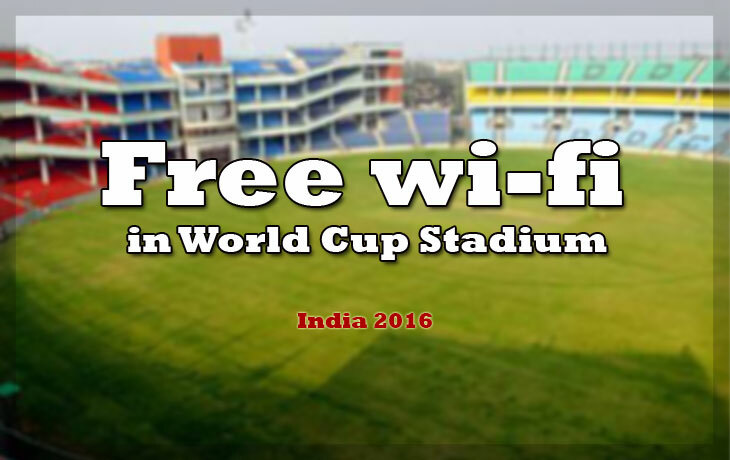 Mukesh Ambani’s Jio will offer Free Wi-Fi in Six T20 World Cup Stadium in India. Maximum of 600 and above access points have been installed in the Feroz Shah Kotla in Delhi for 40,000 spectators. In other stadiums as well, the company have been established the Free Wi-Fi service, Where Eden Gardens in Kolkata has a capacity of 68,000, Wankhede Stadium in Mumbai has a capacity of 33,000, Chinnaswamy Stadium in Bengaluru has a capacity of 35,000, IS Bindra Stadium in Mohali has a capacity of 26,000 and HPCA stadium in Dharamshala has a capacity of 23,000. And it provides the delivering speed up to 35Mbps. Lately, the Company provided the WiFi service at few Airports and few tourist spots, and it also continues their services still now. However, the employees of the company have used the 4G service on December 2015, and also, Jio planned to launch their service as Commercially soon in this year 2016. The Company appointed their Brand Ambassador as the Bollywood Actor, Shah Rukh Khan on December 24, 2015. The Company, JioNet already made a test at India-South Africa One-day series in April 2015 at Wankhede Stadium in Mumbai.